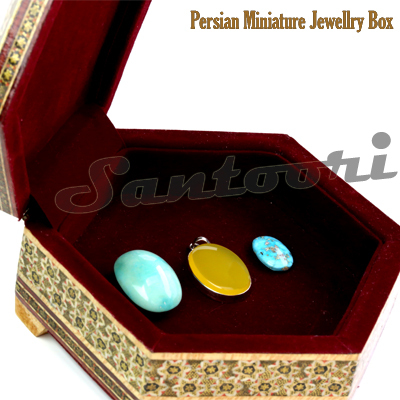 Santoori Handicrafts strives to offer unique prints of Persian handicrafts. In this page we would love to introduce Persian marquetry Inlay work famous as Persian micro mosaic Inlay. The following offered items are a small part of our selection. So kindly revisit our pages for updates whenever you like. In case our offered items should not meet your wishes, we accommodate your desired design as advanced order.